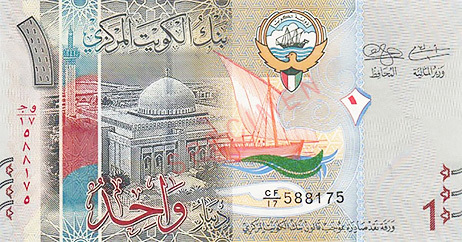 Kuwait Dinar is the highest world currency against US Dollar. Kuwait is the small country with enormous wealth. Highest value (rate) of its currency is explained by significant oil goods exports into the global market. 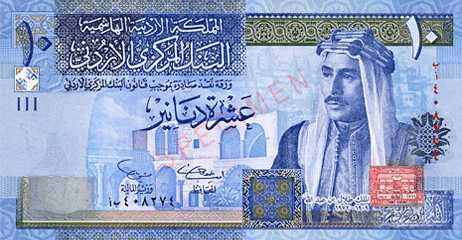 Bahrain Dinar is the second most valuable currency. Bahrain is the Persian Gulf island state with population of a little more than 1 million people. As in the first case, this country largest income is the “black gold” exports. It is interesting that Bahrain Dinar is pegged to US Dollar exchange rate, and its rate against US Dollar has remained the same for 14 years already. Oman is the Arabian Peninsula country. Thanks to its strategic location, it posses a developed economy and high life quality. Oman Rial is also pegged to US Dollar as Bahrain Dinar. It is remarkable that purchase power of this currency is so high that the government has to issue 1/4 and 1/2 Rial paper banknotes. On the picture above, you can see 1/2 Rial (Half Rial). It is hard to explain high value of Jordan Dinar. This country is not economically developed and it lacks essential resources, such as oil. Never the less, one Jordan Dinar costs 1.41 US Dollar, what makes it one of 10 the most powerful world currencies. Most people think that British Pound is the strongest world currency, but it only closes the top five of this list. 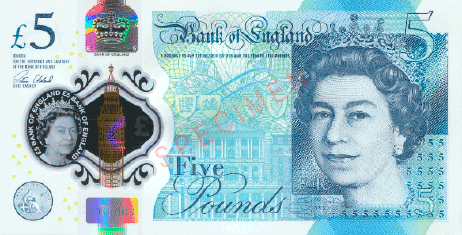 British Colonies issue its own banknotes, which visually differs from banknotes issued by the Bank of England, but they are rated as 1 per 1. Therefore, there are several of them: Scottish, North Ireland, Manx, Jersey, Guernsey, Gibraltar Pounds, as well as St. Elena Island Pound and Falkland Islands Pound. Amusingly, native Britain do not always want to accept “other” Pounds as a payment. Cayman Islands is one of the best world tax havens. These islands provided authority for hundreds of banks, hedge funds and insurance companies. Thanks to its leadership among tax havens, Cayman Islands Dollar costs near 1.22 US Dollar. 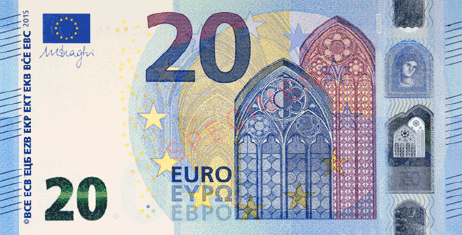 The euro currency has strengthened over the past few years. This allowed it to raise the list of the most powerful currencies. Partially, its strength is explained by the fact that it is the official world currency in European countries among which you will find several economically developed countries. Besides, Euro is the second reserve world currency enveloping 22.2% of all world savings (US Dollar has 62.3%). Switzerland is not only one of the richest countries in the world, but it is also one of the most stable. Its bank system is known for its resolute “Bank Secrecy”. Besides, its high-tech goods are very well known all around the globe. Pay attention when you see an origin of this banknote. This is the only banknote I saw which has the vertical view. Owing to USA world economic leadership, its currency achieved such a title as “World Reserve Currency”. In other words, you can make dollar payments everywhere (in any country). The Canadian dollar is the fifth largest reserve world currency. Canadian dollar is often called the “loonie” in honor of the bird depicted on the coin worth 1 dollar. Due to dynamically changing economical and political situation in the world, it is hard for some currencies to remain in this ranking, so here is the list of currencies that left the top ten for previous periods. 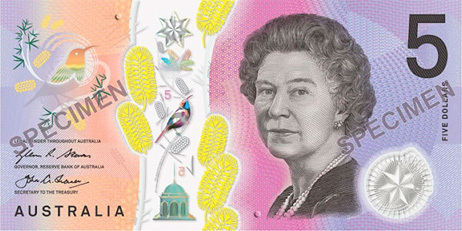 An interesting fact is that the new series of Australia banknotes, as on picture above, would have a tactile feature (Braille) to help the visually impaired community to tell the value of the banknote. Also in Australia, the fight against cash is conducted by reducing the share of cash payments when making small retail purchases. Libyan Dinar has token money called Dirham. 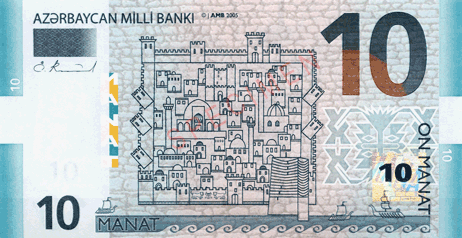 It is interesting that one Dinar is equal 1000 Dirham, and not 100 as we all used to think. It was a surprise to see Azerbaijani manat in this list. However, the currency of this Near East country is a little bit weaker than US Dollar. The economy of this country is surprisingly strong, and its unemployment rate is low.